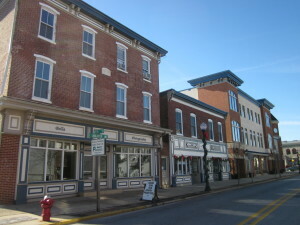 The history-filled, beautiful suburb of Downingtown, PA is a borough that lies west of Philadelphia in Chester County. Originally known as Milltown, Downingtown has grown along with the area into the community it is today, and Haly Oil is proud to be a part of that community. Haly Oil’s standard are high when it comes to our technicians. Each has a depth and breadth of experience in heating oil systems, and are dedicated to quality in the work they perform. Our technicians have hands-on, real-world experience, which combined with factory training and a genuine concern for the needs of our Downingtown clients, allow our technicians deliver an unrivaled customer experience in servicing Downingtown, Pennsylvania heating oil systems. The Haly Oil Constant Comfort guarantee is a first for our heating oil industry that guarantees our customers will stay cool in the summer and have heat when they need it in the winter. If you or your Downingtown business are in need of a complete heating and cooling system, our technicians will serve your family with the same care and dedication we put forth with our own. Haly Oil is proud to be the premiere supplier when it comes to heating oil and system service in Downingtown, Pennsylvania. Our delivery personnel and service technicians are both friendly and skilled and know that your family is dependent on our products and services. We are here to help you maintain a comfortable environment with heating oil all year. We promise to be there as your professional, yet courteous and friendly heating company. Downingtown, Pennsylvania customers can expect only the best when it comes to heating and cooling products from Haly Oil. We sell and service systems from vendors such as Bryant and Thermo Pride, and all systems we sell are the most efficient and advanced heating oil and cooling systems available. In addition to these high and ultra-high efficiency systems, we offer a wide variety of thermostats and other devices to compliment them, together keeping your home or business comfortable at affordable prices all year round.